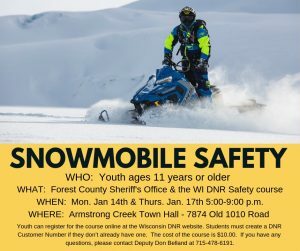 The Forest County Sheriff’s Office and the Wisconsin DNR will be holding a Snowmobile Safety course on Monday, January 14th and Thursday, January 17th from 5:00-9:00 pm at the Armstrong Creek Town Hall. The Armstrong Creek Town Hall is located behind the Corner Store at 7874 Old 101 Road, Armstrong Creek Wisconsin. 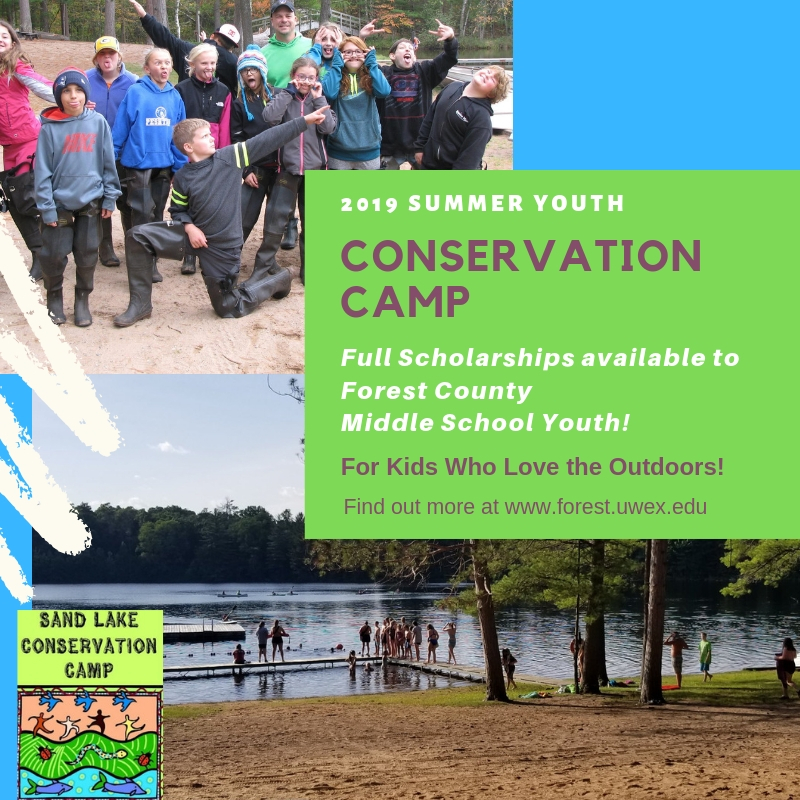 Students 11 years old or older can register for the course online at the Wisconsin DNR website. Students must create a DNR Customer Number if they don’t already have one. 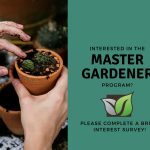 The cost of the course is $10.00. If you have any questions, please contact Deputy Don Belland at 715-478-6191.